As far as I know no one from MIT or Harvard stood on the banks of the Charles River holding a rally to jettison what the Systems Thinkers on both campuses call the “dominant rational/experimental model” of Western thought traceable to the Enlightenment. No, that rejection might have drawn attention to the desired shift to an “existentially-oriented approach.” Better to commit such aspirations to print in books and in lectures that only the elected to be Social Change Agents are likely to read or hear. The rest of us are just supposed to be confused when so much emphasis on Learning keeps resulting in ever decreasing levels of knowledge. You’d almost think there was a commitment to wholesale social, political, cultural, and economic change starting at the level of the individual student. A student whose school activities and assessments and interactions with ICT technology can be used to develop a new Sense of Self. The last post mentioned David W Shaffer and his proposed Pedagogical Praxis for the classroom. Shaffer embraced the theories on Reflective Practice created by an MIT Urban Studies and Education Professor by the name of Donald Schon. He’s the one who did his dissertation on Dewey that I mentioned in the last post. Schon was a proponent of action research in the classroom to gain new mental maps and what Schon called “generative metaphors” that would guide a student’s future behaviors and actions. Remember those Ill-structured tasks we discovered Pearson plans to use in the Common Core and ATC21S and Texas STAAR assessments? Schon gives the reason for the the reliance of ill-structure beyond the social interaction it forces. When a student encounters a problem he regards as unique, Schon recognized the student would see it through the concepts already in his repertoire. Schon liked that word “repertoire.” You and I can already sense the reason that the 10Cs Model of Diversity Awareness and Social Change pushing race and class oppression is now so popular at Harvard Ed school. Those become Generative Metaphors that influence how unique real world problems will be interpreted by students. And their teachers and administrators. Remember the C3 Social Studies Framework that is now part of the Common Core push and our concern that it was pushing metaphors like Bronfenbrenner’s Ecological Systems Thinking that are not factually true? Another useful Schonian Generative Metaphor that will come to be believed as true the more often it is used. Which certainly explains the language in the Framework about wanting students to practice daily with the C3 conceptual lenses. Supplied Concepts=Generative Metaphor guiding Future Behavior. It’s all consistent with what Shaffer’s Pedagogical Praxis encourages citing Schon. A student engages in activities at school and acts in daily life and then reflects on the results with peers and mentors. This action followed by inquiry and reflection (my IB Parents will recognize the significance of those terms. Which is why I believe the IB program has essentially become the Advance Guard in gaining implementation of this Action Research model) then becomes the Means for students to gain New Ways of Thinking. The desired outcome from school and daily living with such an experientially-oriented education is that the student will over time Reframe her Identities and Interests in relation to the experiences and the perspectives of others in the community. That’s why the Aspiring Social Change Agents and Theorists are so fond of referring to the Learning Community. School becomes the place where the Group changes the person from the inside-out. I have written quite a bit about Peter Senge and Systems Thinking and also how the Positive School Climate Executive Order is becoming a means to stealthily shift to a social and emotional learning focus that looks almost precisely like the developmental model to remake human nature Karl Marx described repeatedly. Still as I was tracking the PATHS to PAX SEL curriculum to a school piloting a Positive School Culture in Arizona, I was surprised to see Senge’s The Fifth Discipline Fieldbook listed as the implementation guide. So schools implementing Positive School Cultures and Climates will be practicing Senge’s Systems Thinking and they may not be going to Camp Snowball to set off alarms of concern among parents. Ah-Oh. Better get a copy of that Fieldbook. Sounds like Systems Thinking is coming to schools everywhere. So I did and it turns out to have a whole section on the desired new Mental Models for students to fit all the desired Transformative changes in virtually every social system we could list. That would include us if you remember what Senge’s Presencing and MIT lecturer partner Otto Scharmer wrote in his 2010 Seven Acupuncture Points for Shifting Capitalism to Create a Regenerative Ecosystem Economy that I have already written about and linked to. Of course that was before I located that UN IHDP document that said Senge and Scharmer were among the futurists helping to shift education and business practices globally towards the IHDP desired fundamental revision of human behavior. Anyway Scharmer said in that article that the purpose of these new mental models was to allow a “reconnect with the deeper sources of inspiration and Self in order to reinvent both onself and the system.” I think he means all the systems and we should take him at his word on the desired intentions of all these changes and new models of Learning and desires for Irreversible, Second-Order Change we keep hearing about. Rereading Scharmer’s aspirations as I did yesterday reminded me so much of what Alice Bailey described that I am going to link to that old post if you have never seen it. http://www.invisibleserfscollar.com/producing-docile-instruments-and-captive-souls-putty-at-the-hands-of-the-predator-state/ . I am sure that the fact that the Ford Foundation also created the named chaired professorate Donald Schon held at MIT from 1972 onward is purely coincidental. Since that foundation seems to show up constantly from the 50s to the present to fund desired transformative changes to all our social systems. No wonder our friend Jeannie Oakes went there to head their ed efforts in November 2009 just like we were in the end game and it was time for the final assault. Which is of course just the thing desired if you want Transformative Change in future behaviors. So the Reading Wars and the Math Wars and frustrations over integrated math and no more lecturing and the Digital Learning/ICT focus and the Actual Common Core implementation I have been describing all these months and the global ed reforms are all driven by a desire for Action Research on children involving those cognitive theories. Got it? And Senge then goes on to tell us that “two types of skills are central to this work” of gaining the desired new mental models. Now when I wrote this post back in August http://www.invisibleserfscollar.com/do-you-live-in-a-district-piloting-deep-and-continual-personal-change-in-the-individual-student/, I speculated that it looked to me like the Harvard Strategic Data Project involved pushing Systems Thinking on participating districts like Fulton and Gwinnett Counties in Metro Atlanta and Charlotte-Meck in North Carolina and Boston Public Schools. Now that we know of Chris Argyris and Schon’s work and its aspirations as action science, there is no question. Students in those districts are being used as guinea pigs to collect data for what Argyris and Schon called Double-Loop learning. What will it take before the student acquires “new capacity” for different types of behaviors? 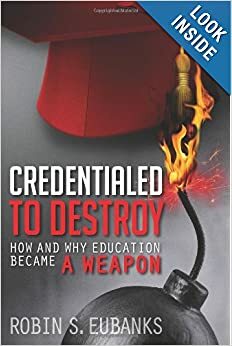 Schon wanted people and institutions that were malleable and flexible enough to “become capable of transforming themselves without intolerable disruption.” I would argue that Aurora and Sandy Hook and Columbine may well be warning us that all this SEL/systems focus experimentation that has been going on in some schools and districts for almost 20 years is in fact intolerable to some personalities. It sure is too coincidental to ignore as the number of districts and students undergoing action science research continues to grow. Common Core will be turning our schools into a giant petri dish of social science action research into what it will take to gain Systems Transformation. Which is not something an education degree or a Harvard Masters in Public Policy or an Urban Studies degree or a Social Psychology degree should license anyone to do. To our kids. With our money. To this Great Country. To the rest of the world looking to the US for guidance.